Prefill one pad with solder. 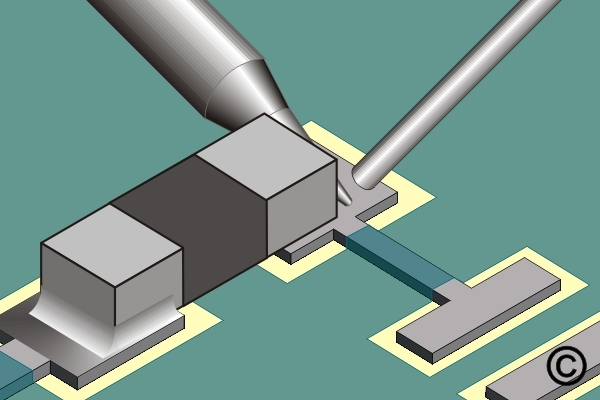 Place the soldering iron tip at the junction between the prefilled pad and component lead. Solder the other opposite side of the component. Figure 1: Prefill one pad with solder. 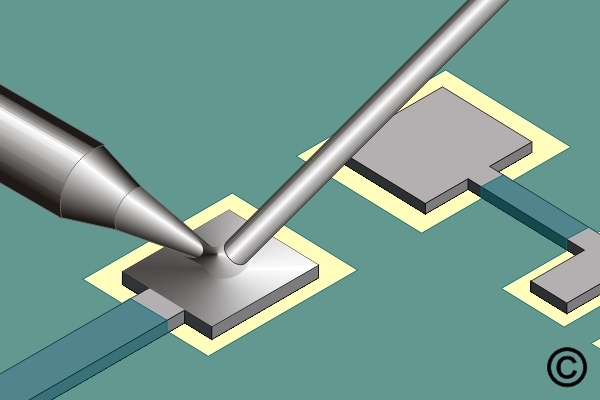 Figure 2: Place the soldering iron tip at the junction between the prefilled pad and component lead. 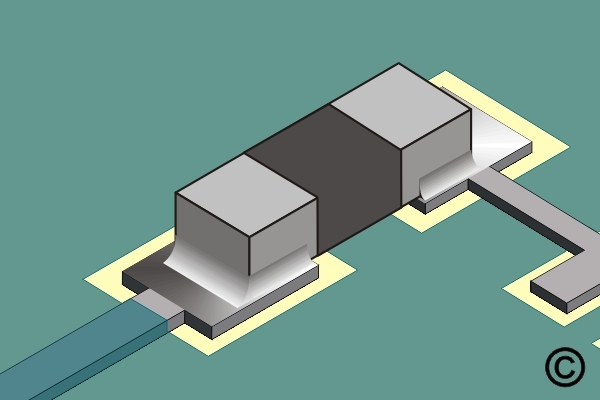 Figure 3: Solder the other opposite side of the component. Add liquid flux to one pad. Add liquid flux to both pads. 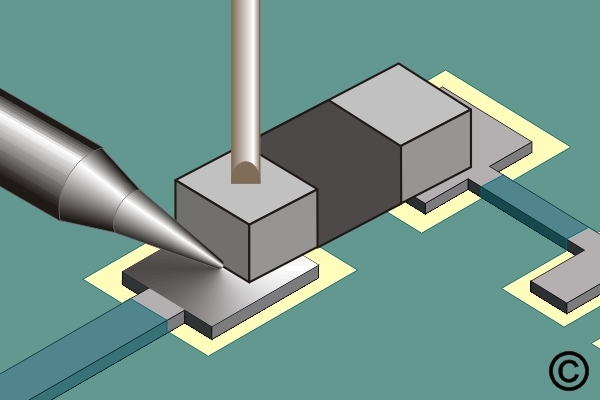 Place the component in position and hold it steady with a wooden stick or tweezers so that the soldering iron won't push the component out of alignment.